Hydrate and moisturize from head to toe with this Mad Gab gift set. Say goodbye to dry, chapped lips. 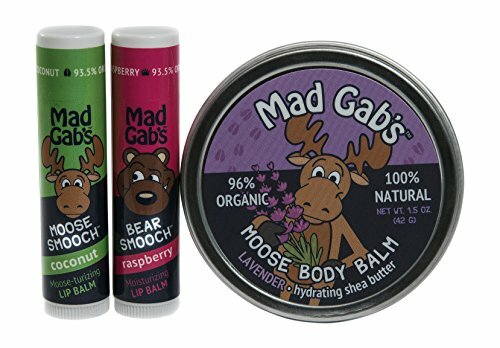 Mad Gab's smooch sticks are formulated with natural and organic olive oil and beeswax that will keep your lips happy all-year long. Featureing Vitamin E that in an antioxidant that will help fight skin cell damages caused by free radicals. This bundle includes a balm perfect for hydrating your parched skin from head to toe. It is a great addition to your daily routine to keep your skin happy and moisturized all the time.